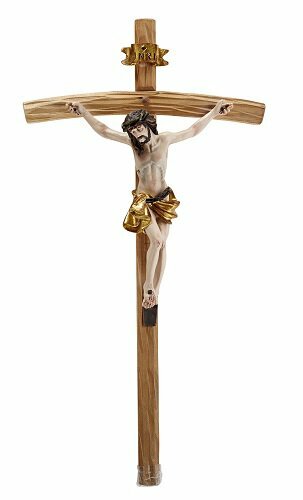 The Papal Crucifix has a rounded cross style, designed originally for Pope Paul VI. Pope John Paul II said that he chose to carry his Papal Crucifix because it was for him a sign of service in the footsteps of Jesus-the Shepherd who guides and leads, who serves, and gives his life as a ransom for many. Hanging a crucifix in every room reminds us that Christ suffered and died for our salvation. 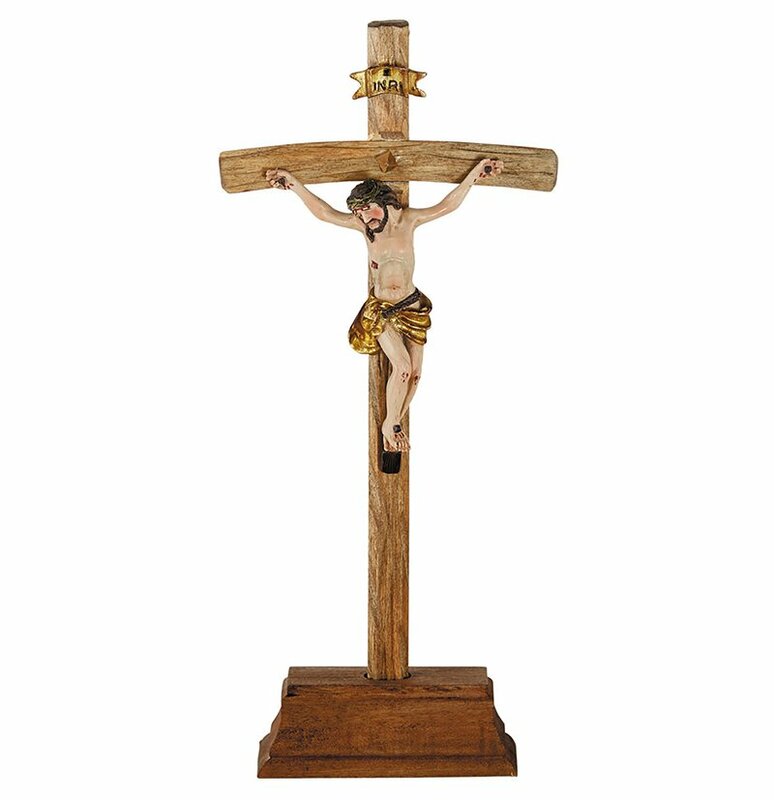 This crucifix is perfectly priced and sized to hang/stand in the home, parish or classroom. Crucifix is removable from base for hanging options. They also make great gifts for any occasion, especially the Sacraments of Baptism, First Communion, Confirmation, and Marriage.